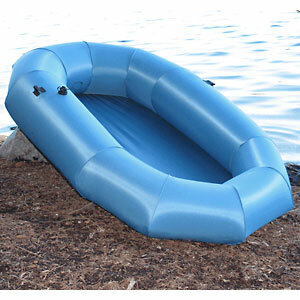 The Flytepacker raft by Flyweight Designs is a great lightweight stillwater rafting option for mountain lake fishing. The $299 price tag and weight of less than 3 lbs appeal to backcountry fisherman. One air chamber presents safety risk on water. 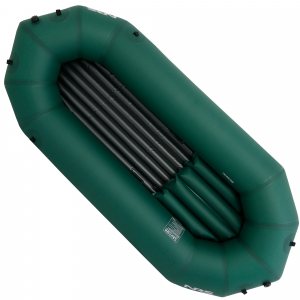 I purchased my raft used on a packrafting forum only because that was the only place that I could get my hands on one. Because of their popularity they are almost constantly out of stock. When a new batch does come onto the market it sells out remarkably fast. I have been using my raft for 1 year now and I have taken it to over 100 mountain lakes all over Washington. The strong 200D polyurethane material is resistant to abrasion from rocks and other lake debris. I use my raft in conjunction with the Instaflator which has an adaptor for the boston style valve. It takes approximately 4 bags full to inflate the raft. I personally use hand paddles to navigate, primarily doing a sort of backstroke motion like a water boatman beetle. I feel that oars or a traditional kayak paddle would be overkill for the small raft. 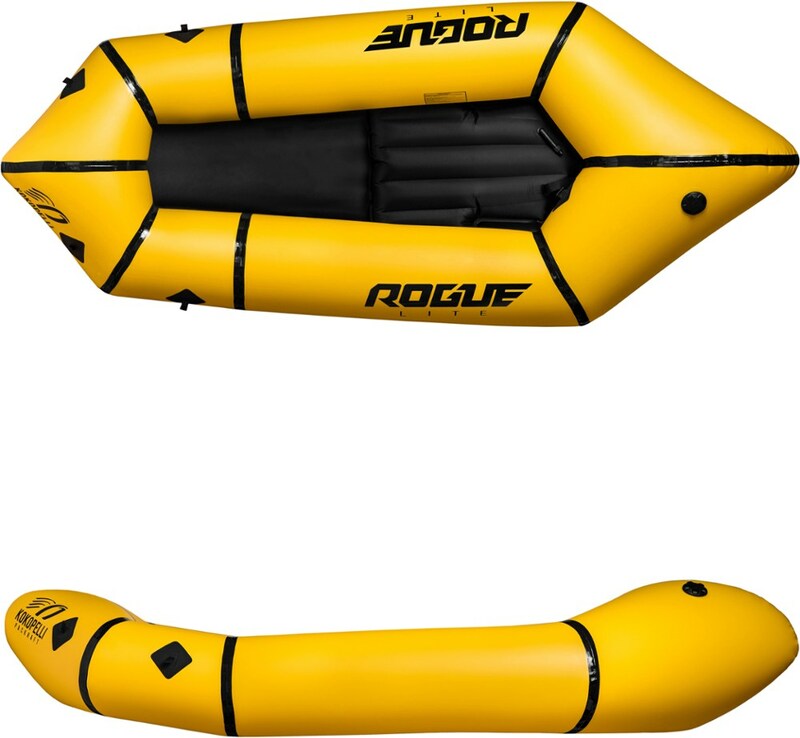 The raft is capable of holding up to 310 lbs. 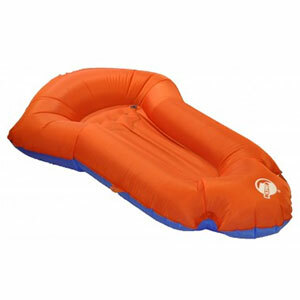 The floor is not inflated, so many people use an inflatable pad to sit on as a layer between them and cold lake water. 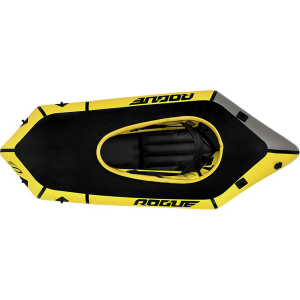 The company has more recently come out with a sort of skin that adds durability and aerodynamics (and weight) to the raft. 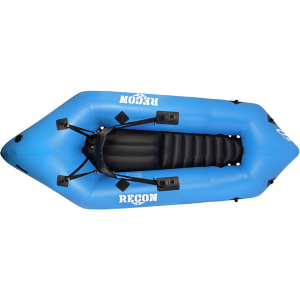 Overall, it is a great raft that packs up small and is much cheaper and lighter than other competing rafts. This thing looks fun. I could see using this in the Alpine Lakes Wilderness a lot. What did you use to inflate it? 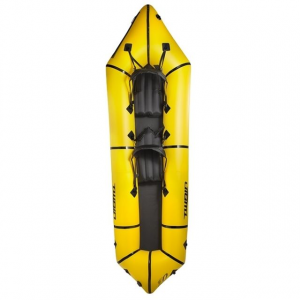 The FlyWeight Designs FlytePacker Packraft is not available from the stores we monitor.